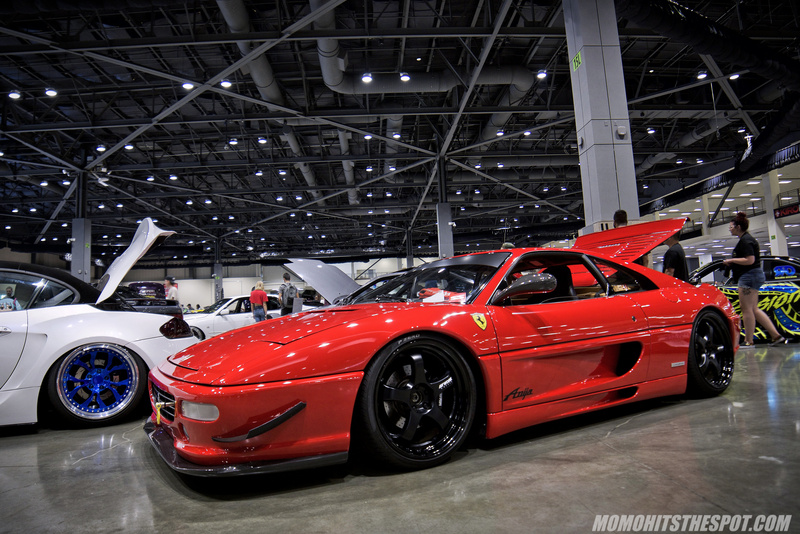 [EVENT] Wekfest Seattle 2018 Top Picks Part 2 – MoMoHitsTheSpot! The Oregon-based August Cascade CRX was arguably the most talked about car of the show. 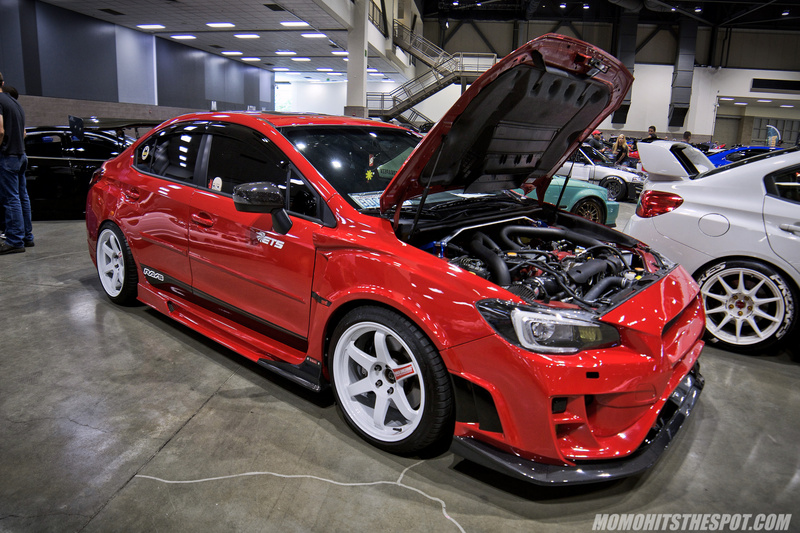 Personally I loved the color choice of the car and the build as a whole was extremely well executed. 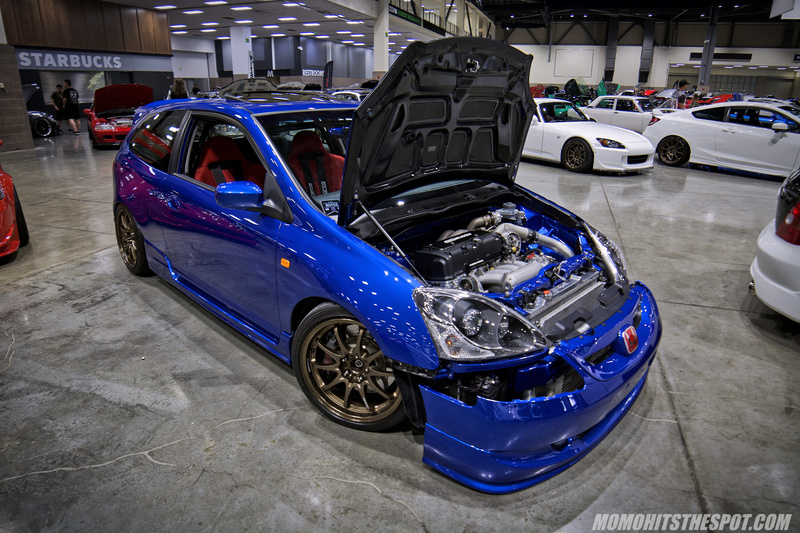 Another one of many Integras at the show, this one also with a K-swap and rocking some gold OG Advan RGs. NA2 and NA1 NSX on Advan RZ-DF and Volk CE28, respectively. I’m always a sucker for some rebarrel Mugen MF10s. I love this NA2 on Volk TE37SL for its simplicity. This CRX had one of my favorite K-swap in the show due to its OEM feel. The Level One crew from Canada had a strong lineup at the show. 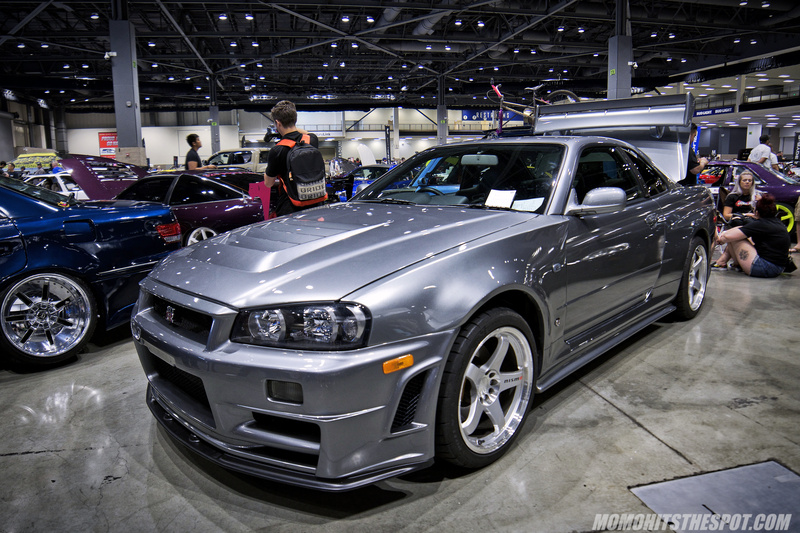 I’ll have more on a couple of these cars in future posts… stay tuned. 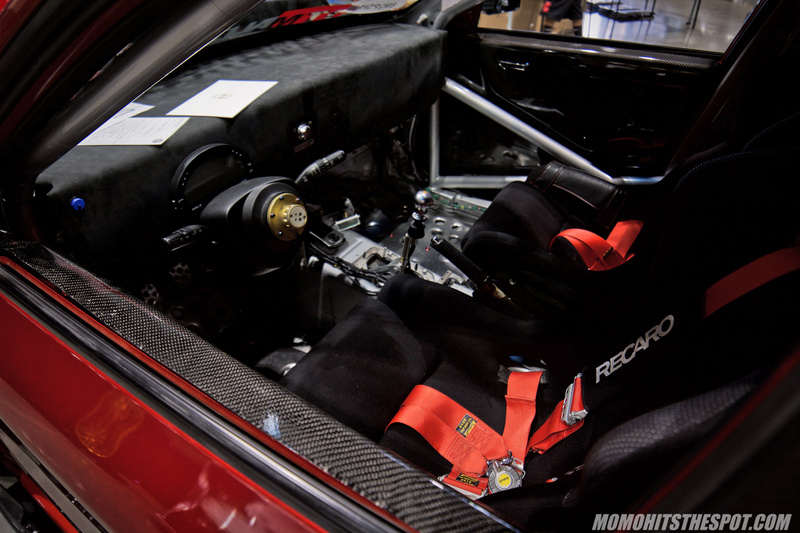 J’s Racing Type-S kit on this S2000, a kit that you don’t see too much these days. 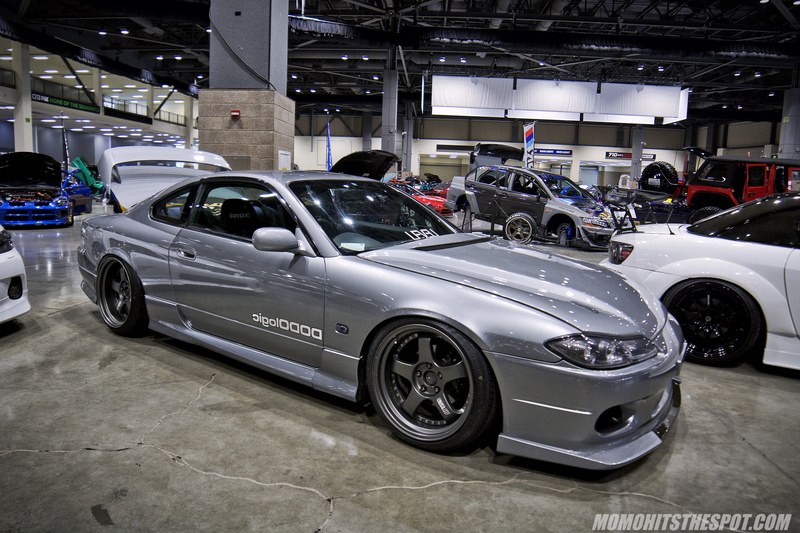 The DODOLogic S15 on SSR Professor SP1 looked absolutely sensational… although a lot of it has to do with the fact that the S15 is one of the most beautiful car to ever come out of Japan. 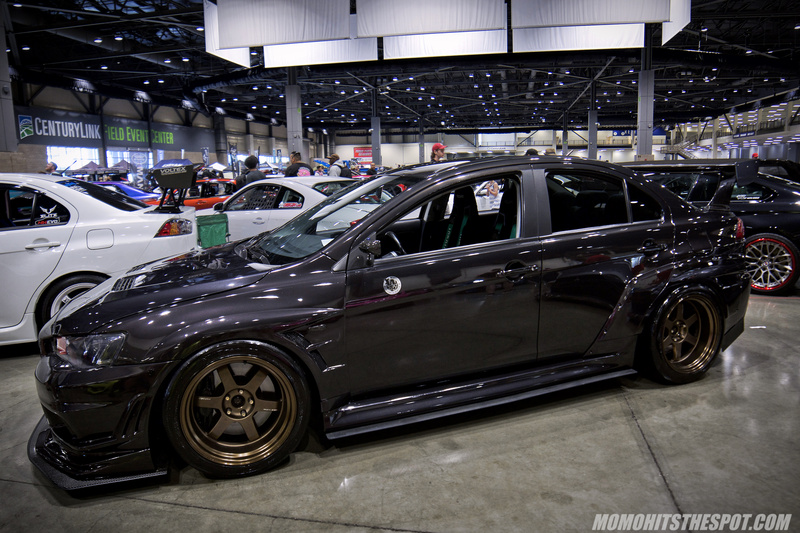 I believe this is an authentic DC5 Type R on WedsSport TC005 wheels. Same company, two very different platforms. 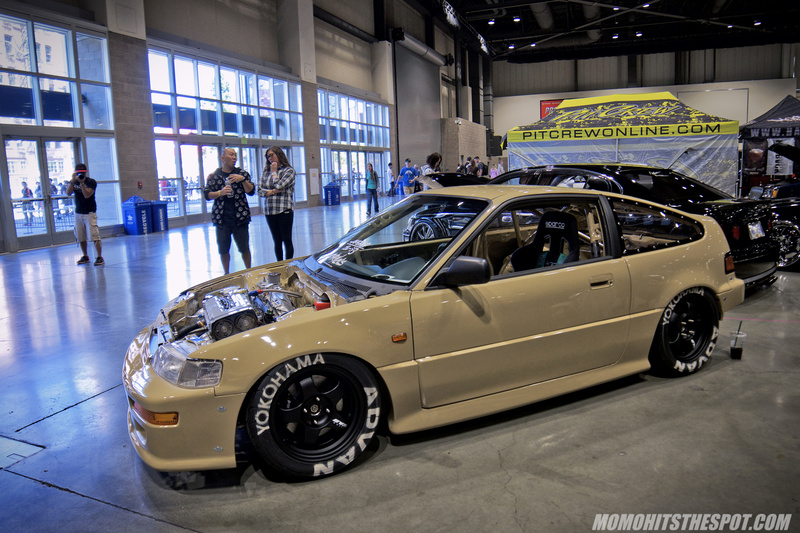 An EJ with a K-swap… definitely not the most popular combo among Honda owners but this was a pristine example. 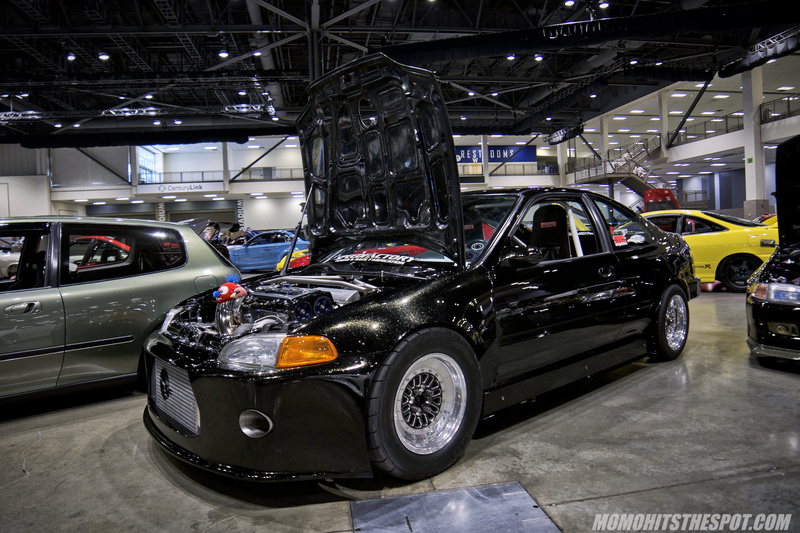 It’s crazy how many clean Hondas are out there in the PNW, this EK was definitely one of the best. Another one of the many S2000s at the show… this one on bronze Volk CE28 wheels. Ccccccccccccccombooo breaker!!! Yes, finally a non-Honda! And………. we’re back. The Mickey Ds color theme wouldn’t be my first choice for a car but I appreciate the authenticity on this DC2. 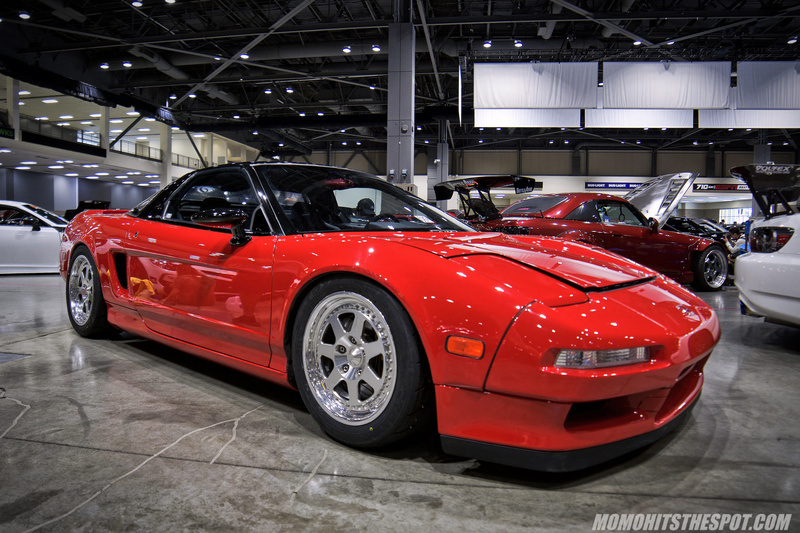 Red Advan RS’ really pops on this NSX. Another not-so-popular Honda in the show scene, but this one was nice and tidy. This was probably the best DC2 at the show highlighted by the a rare CrowHouse front, Work RSZ-R wheels, and of course, a K-swap. 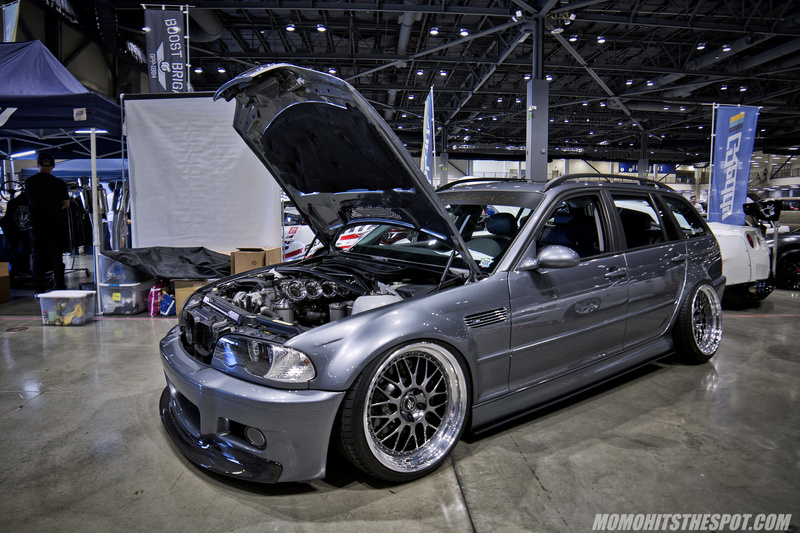 I’m beginning to notice that I’ve been saying “K-swap” a lot in this post… this one a turbocharged example. Now this is a clean S2000 on some classic Mugen MF10s. 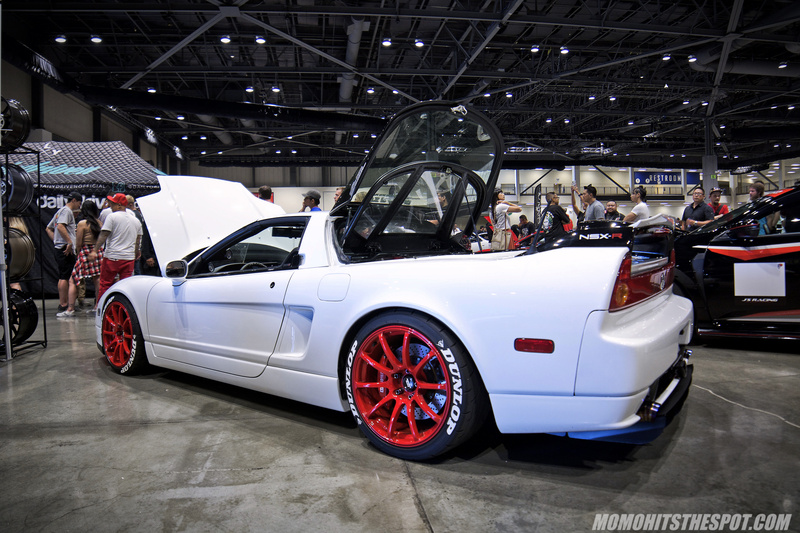 NA1 on some $$$ Mugen M7. A Chevy SS on Volk TE37RT….. words that anyone seldom utters. 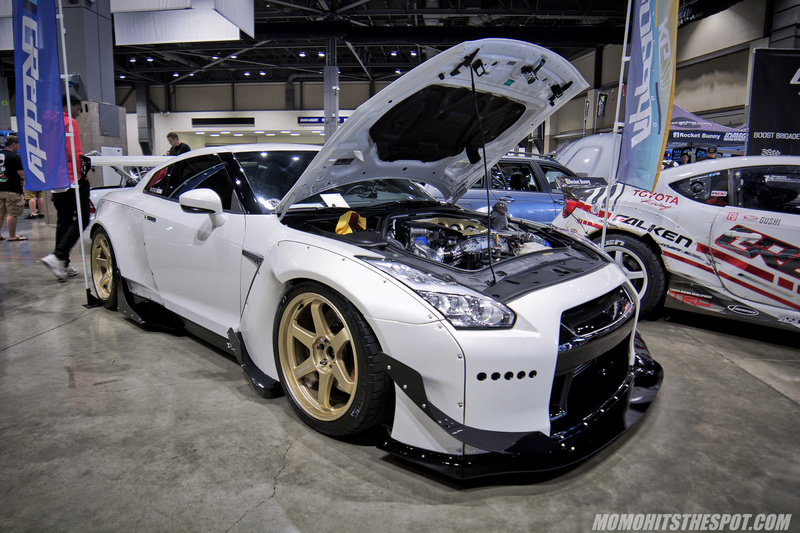 A Rocket Bunny GTR on TE37 Ultras… not my favorite kit for the car but this one was very clean. 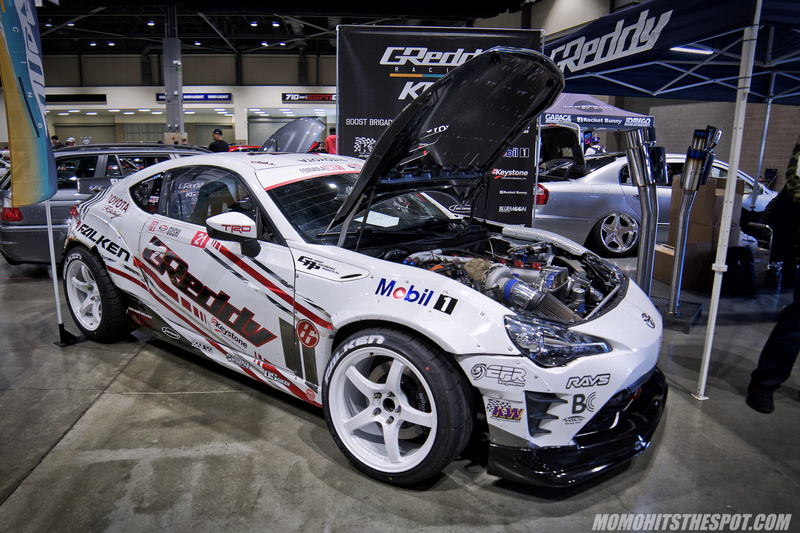 Ken Gushi’s GT86… I believe this thing was competing in Formula D the day before. 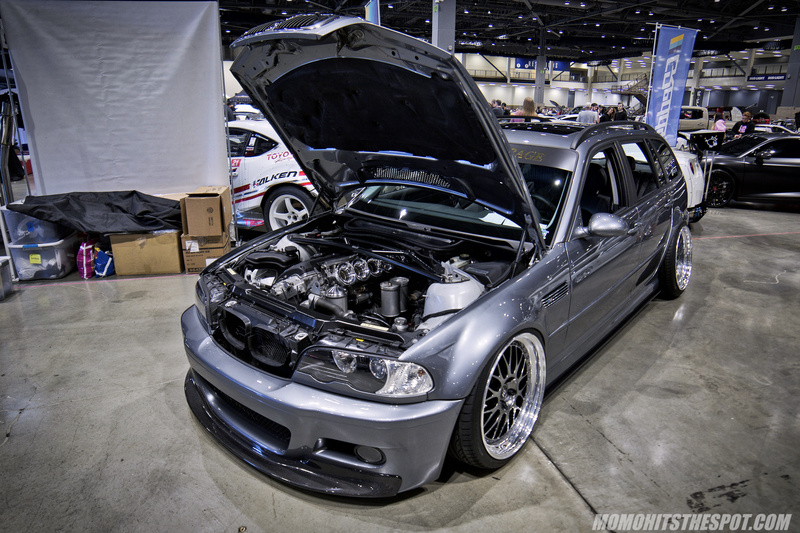 This was arguably my favorite BMW in the show… if only BMW really made an E46 M3 Touring, but I guess this one was close enough. A Suzuki Cappuccino… not the best looking thing in the world, but definitely had the “kawaii” factor. 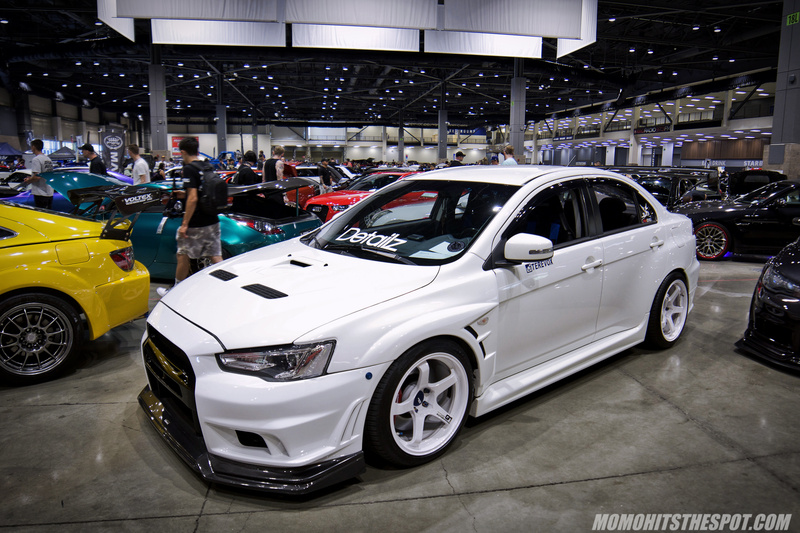 Best Subaru in the show in my opinion… that track/time attack feel of this car is apparent, and I LOVE it! 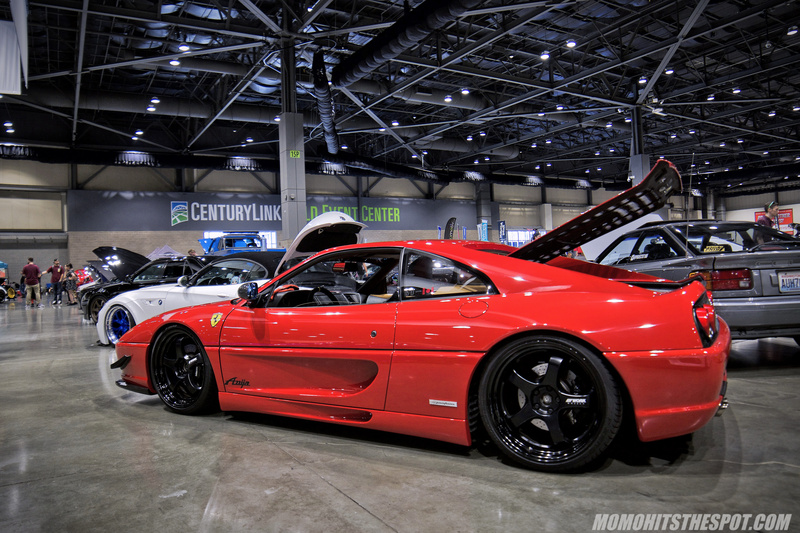 Ferrari 355 on Work S1R. Normally, it’s TE everything, but I think the Work Wheels is a better choice here. Pretty clean ER34 on TE37 SAGAs. I think we can all agree that the 924/944 is not the best offering from Porsche, but this example certainly gives the car a more appealing look. The Advan TCII wheels matches with the car quite nicely as well. 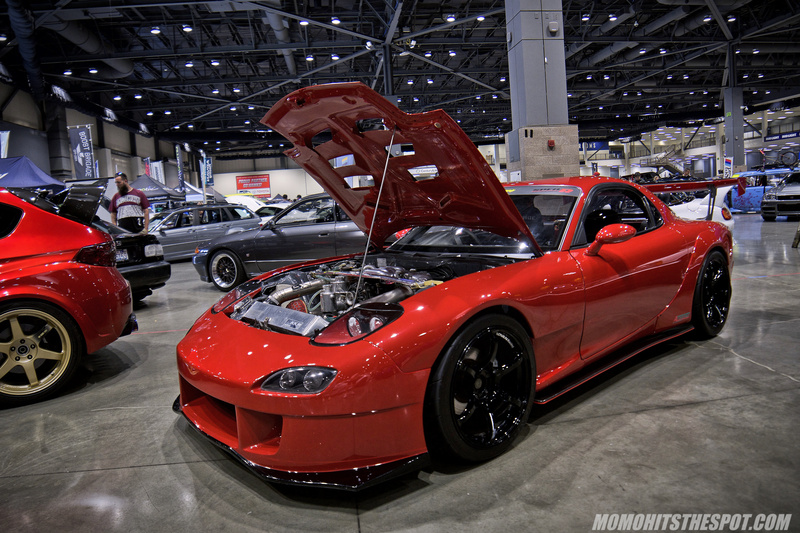 I don’t remember how many RX7s there were at the show, but this one most certainly takes the crown. You don’t really see the URAS front that often and I think this one was executed perfectly with the Fujita Engineering pieces. The only reason why this Varis GRB was not my favorite Subaru was because my lack of interest in the GRB model… other than my personal opinion, this car was very well built. An IS300 SportCross… not a very common car among car shows to say the least, this one looks super clean on TE37 SAGAs. S13 Vert with a RB26 swap on CCW Classics… I would probably have chosen a different wheel but I still liked how this car looked. A couple of Varis Evo Xs, one on Advan GTs and the other Volk Racing TE37V Mark II. BBS LM F1 matches perfectly on this R32 GTR. For some reason I this almost stock looking Trueno caught my eyes as I was walking by… perhaps it was those ITBs under the hood that piqued my interest. So there you have it! This was a pretty long post compared to my usual Wekfest posts, but like I said, there were a lot of good stuff at this show and I wanted to be as thorough as I can. Also, I want to apologize for the flood of Honda material for the non-Honda fans, but there were just too many good ones not to post. On that note, I hope you guys did enjoy the photos that I have but I still have a couple more posts focusing on a couple of the cars at the show, so be sure to check back in a bit!